This is the most beautiful salad. It’s bursting with colour and has loads of gorgeous textures going on. 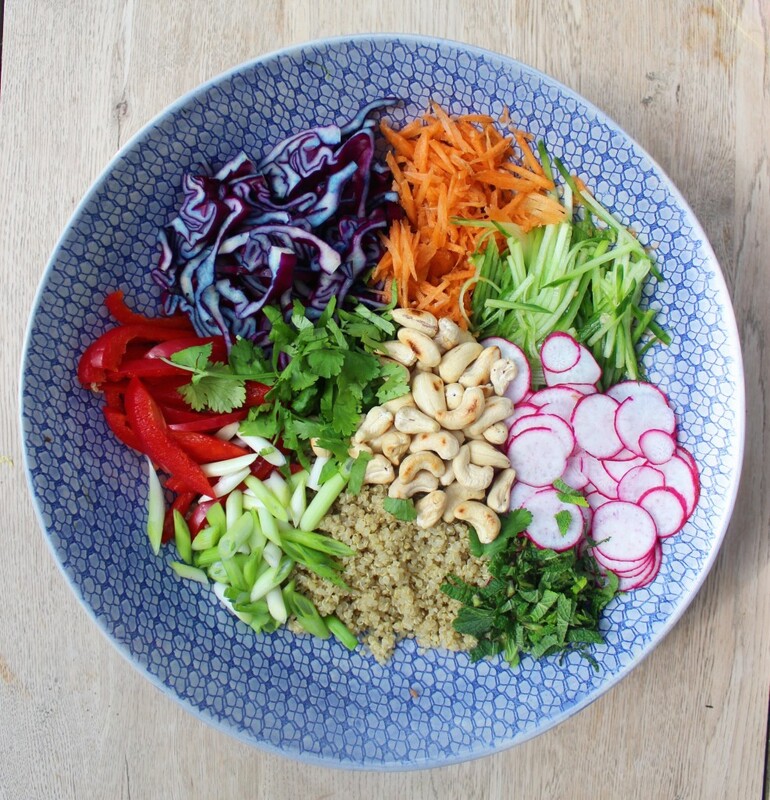 I just love how fresh and vibrant is; loads of colourful veg, zesty lime, punchy chili and ginger, fresh herbs and crunchy toasted cashews. 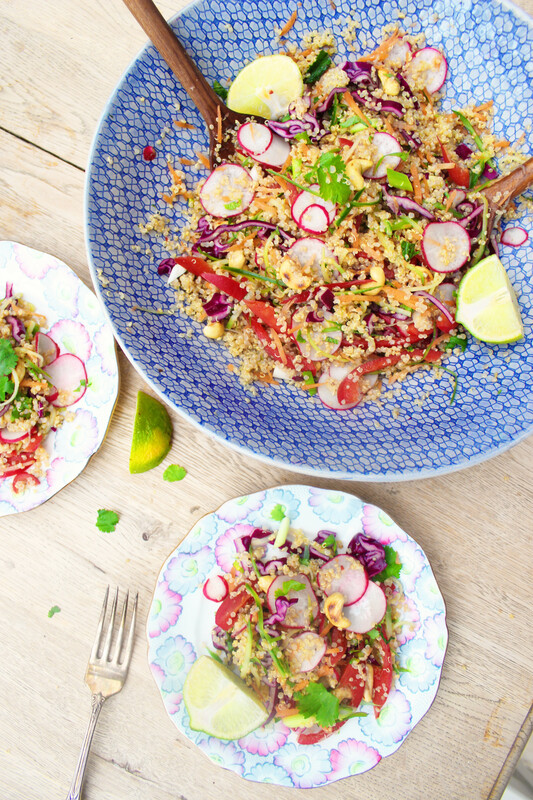 The dressing is zingy and light and you can add another lime if you like- I tend to use two if I’m making it ahead of time and then I liven it up a little with another lime before serving, but taste it and see what you think. Anyone with a drawer full of kitchen gadgets will love this because you can put them all to use to slice the vegetables in different ways, but all you really need is a knife so don’t worry if you don’t. Chop the pepper, red cabbage and cucumber into thin strips. Grate the carrots (you can use a julienne peeler for the carrots and cucumbers if you have one). Chop the radishes into really thin slices, definitely use a mandolin if you have one so that they’re super thin. 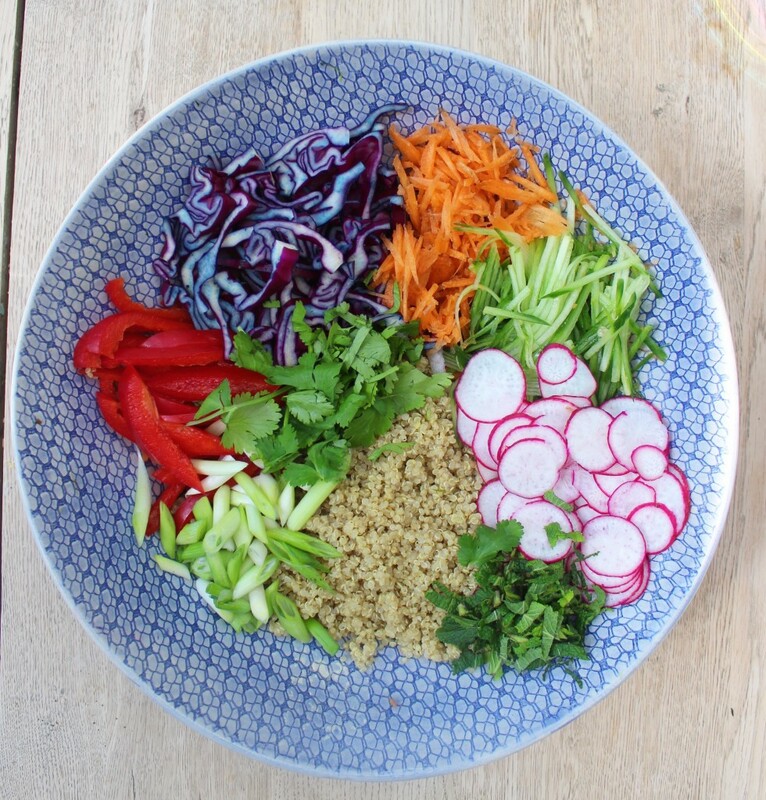 Add all of the veg to a large bowl with the cooked quinoa. Finely chop the herbs and spring onions and add them in too. Add the cashews to a pan on medium heat and let them toast for a few minutes until golden. While they’re on, make the dressing. Add the grated ginger and sesame oil to a bowl or jar. Finely chop the chili and add it in, then add the juice of 2 limes. Whisk it all together and taste, add the juice of another lime if needed. Add the cashews to the salad and drizzle on the dressing. Toss well and serve. 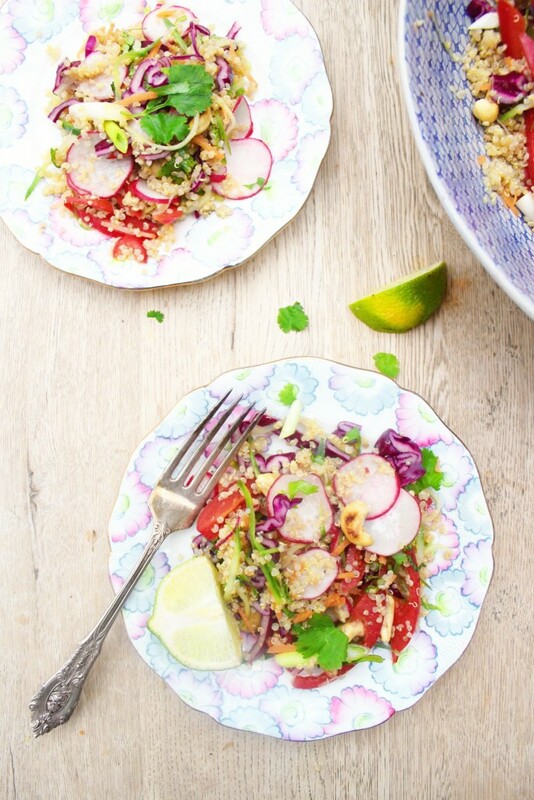 All these veggies look so beautiful in this salad and I love how simple your dressing is.